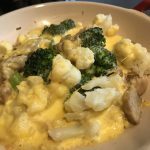 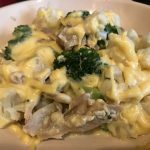 This low carb Keto dish is high in fat with its cheese sauce mix over chicken, broccoli and cauliflower — a nice combo for some protein, vegetables and high fat cheese. 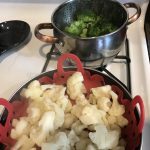 Steam vegetables (broccoli and cauli). 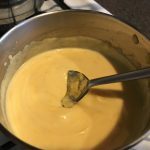 In medium pot, combine butter, cream and cheese - cook until melted, stirring constantly. 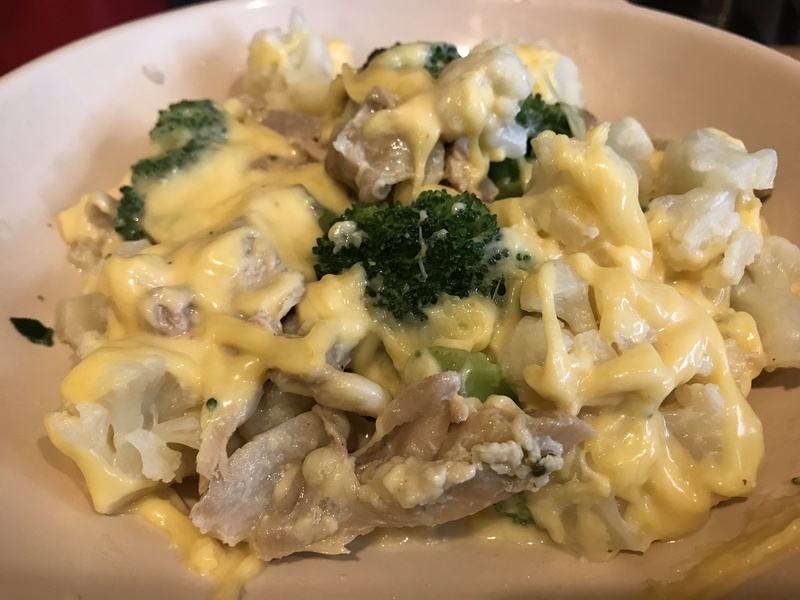 In a small baking dish / bowl, mix chicken, broccoli and cauli, then pour cheese sauce over and stir to mix together.